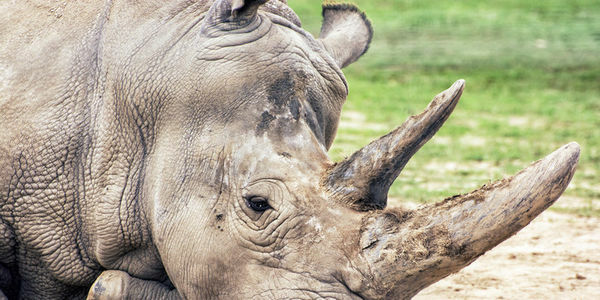 petition: Harshest Punishment for Rhino Poachers! Harshest Punishment for Rhino Poachers! Three men have illegally poached three rhinos at South Africa's Kruger National Park. They are in custody and the state will try to charge them. This is a petition to make sure the South African courts take this crime extremely seriously and give these men the harshest possible punishment to deter future poaching. Please sign if you want to protect rhinos in South Africa. They removed their first victim's horns, with intent to sell. Fortunately, police caught them before they were able to remove their other two victims' horns. Rhino horns fetch a big price and so there is a high motivation to murder these beautiful and endangered animals. The white rhino is completely extinct in the wild now. There are only living in sanctuaries and parks like this one, so it's an especially big deal for them to be poached there like this. Sign now to demand an example is made of these murderers to deter others from poaching in the area. Thank you.